It is time to play catch up and spot light some of A's work from our study of Ancient Egypt. We have since moved on and covered the Ancient Israelites, Ancient India, and we are now on our second week of studying Ancient China. We spent quite a bit of time in Ancient Egypt so to speak, and learned a great deal. 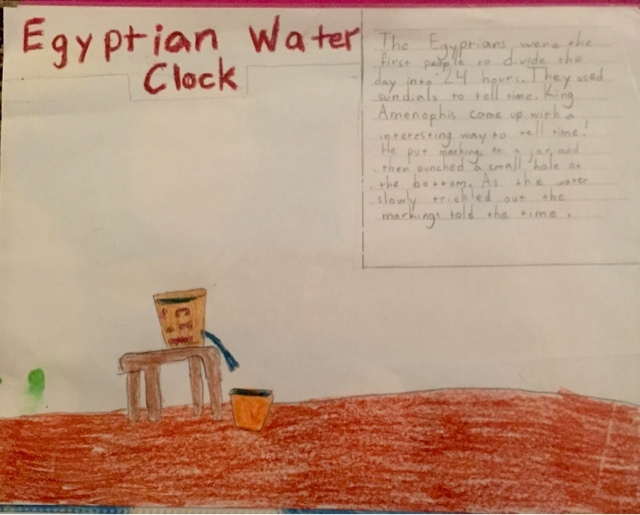 A learned about the development of mathematics, the calander, and the Egyptian Water Clock. 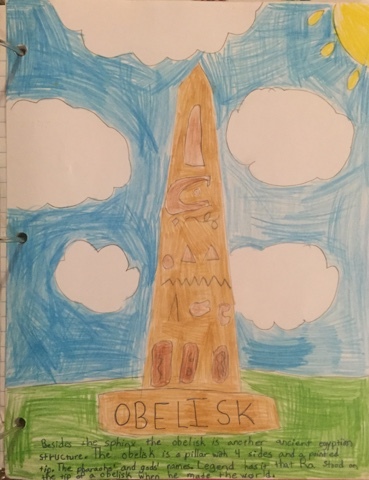 She created this page for her notebook. 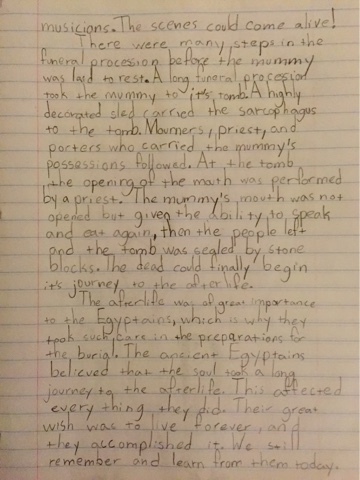 We spent time learning about Egyptian architecture and she added this page, as well as a page about the Sphinx, to her main lesson book. 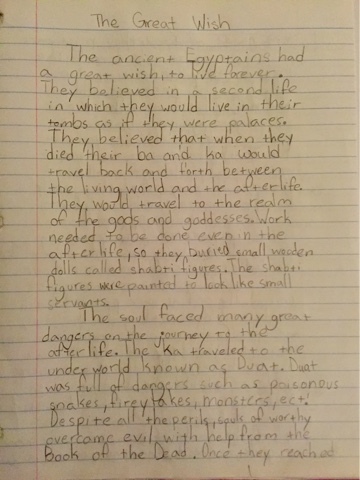 We concluded our study with a research paper on the Egyptian afterlife and their belief system. This was a great opportunity to really sure up her research skills. A took notes and used many different sources in her research. I then taught her the steps for creating an outline for this type of paper. She did a terrific job. She found that creating such an outline first helped tremendously when writing the actual research paper. Here is the finished product. 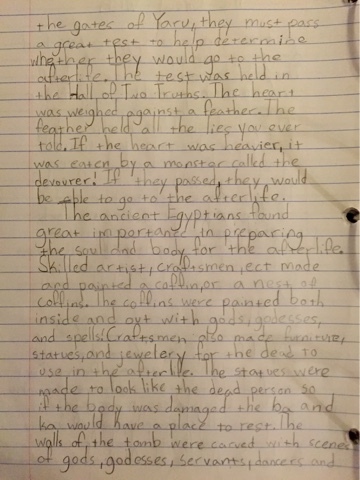 We are still loving Oak Meadow's 6th Grade Ancient Civilizations. It is such a great fit and the project choices really stretch A while allowing her to showcase her creative side. Beautiful work! So well organized and researched!